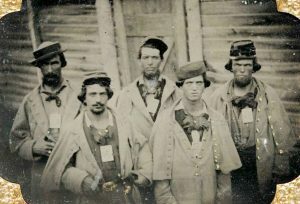 Many people recall their history of the terrible conditions for Union prisoners at Andersonville Prison in Georgia during the American Civil War. For those who had ancestors on the Confederate side, there can be a different version of what happened to their relatives taken as prisoners. 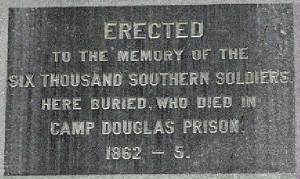 One such prison was Camp Douglas, 80 acres in size, on the south side of Chicago, Illinois. It even had the nickname of “The North’s Andersonville” was one of the largest Union Army prisoner-of-war camps for Confederate soldiers. It was in use from Feb. 1862-June 1865. 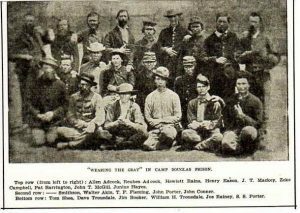 By late summer of 1862, the Camp Douglas held nearly 9,000 Confederate prisoners, and the prison conditions really deteriorated. The camp was built on low ground, and it flooded with every time it rained. During most of the winter months, when it wasn’t frozen, the compound was a sea of mud. Steadily, illness and death began to increase among the men. By the end of 1863, epidemics of smallpox spreading across the camp. What was very unusual was the camp life became a sideshow for residents of Chicago. An observatory tower was built just outside the prison gate for onlookers to look at the prisoners, for 10 cents per person. The spectators would go to the top of the tower where, with the aid of spy or field glasses, they could look down upon the camp. 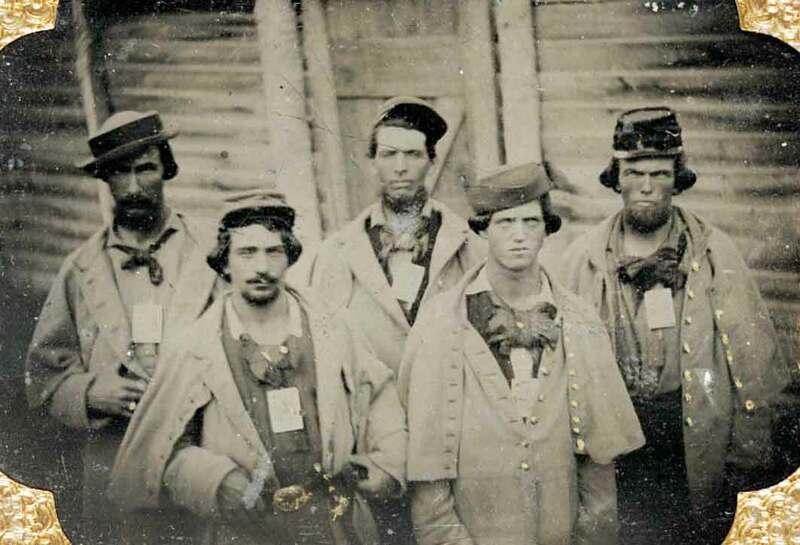 One the earliest methods for Confederate to attempt an escape was when a prisoner darkened his hands and face with charcoal or some other substance and walked out the front gate with other black prison laborers. The use of black laborers was soon ended after this was found out. Then tunneling out of prison was the most popular way of escaping. 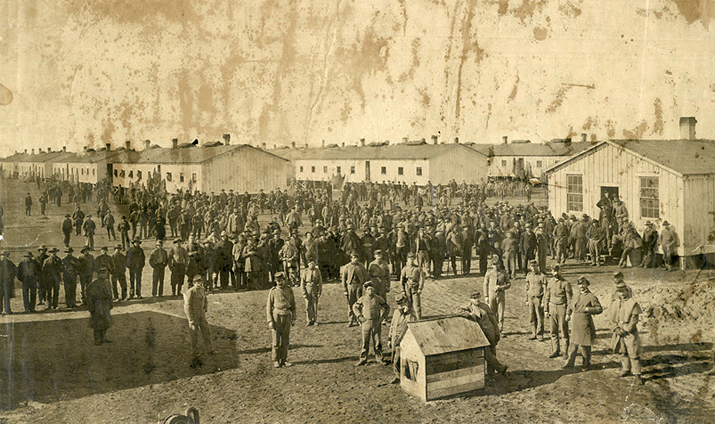 By late 1864, the camp had a prisoner population of 12,082. 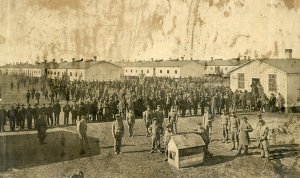 During the next 2 months, the camp continued to hold over 11,000 prisoners. With only estimates over the years, it is figured maybe 6,000 Confederate soldiers died at Camp Douglas. On May 14, 1866, the Macon Weekly Telegraph, a newspaper out of Bibb County, Georgia did a listing of known Confederate deaths, the soldier’s name, and the regiment they were with. This listing was just of Confederate soldiers from Georgia. Here is the actual newspaper page on May 14th with the listing of names based on dates as the public would have seen it in 1866 in Macon. Also, an online site of names is written out in alphabetical order. Here is a booklet made digital by Archive.org published 1892 listing those from the prison buried in the Oakwoods Cemetery in Illinois. If you had any Confederate ancestors, even if they were not from Georgia, you might want to look at the list. 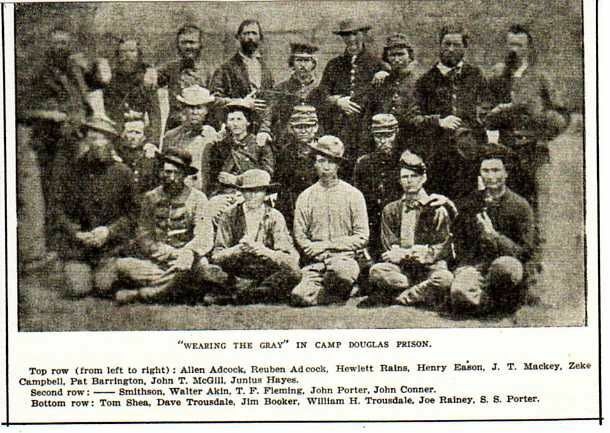 Photos: Camp Douglas, Confederate prisoners, Sign to remember Camp Douglas and camp prisoners.